Hello there! I'm loving your blog and I linked up! Thanks! Thank you for hosting this sweet party - have a great weekend! Thanks for stopping by my blog!!! I linked up to your wonder Sweets for Saturday link party!!! Hi Lisa! Great, yummy looking features! Thanks so much for hosting and have a great weekend! I linked up the funfetti cupcakes and Flag Cake. Have a great weekend! Thanks for hosting, Lisa! Everything looks great. Have a nice weekend! Lisa, I linked up the Vanilla Rich Chip Cake, also Strawberry Pie and Peanut Butter Snacks. Those donuts look so sinful! Have a great weekend Lisa. 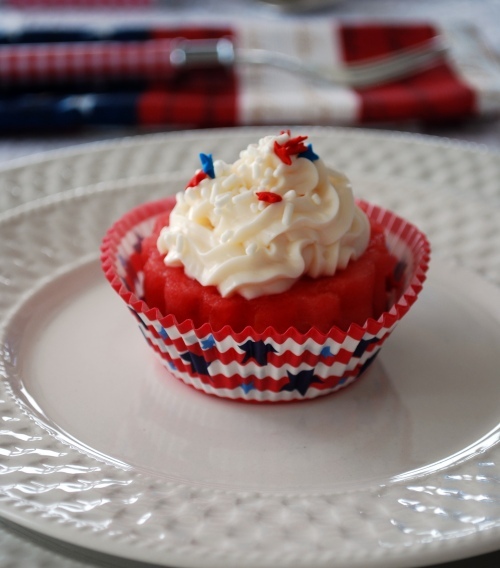 Linked up my 4th of July cupcakes! Thanks for stopping by my blog. The sweets look wicked good, as always! Thanks for hosting! Hi and thanks for hosting this link up! I have linked up my Strawberry Pink Lemonade Ice Cream Cupcakes. Have a great weekend! I'm linked up with my lofty lemon meringue pie. Thanks for hosting - can't wait to check out the other creations! Good morning, Lisa! I've just linked up. Thank you! Have a lovely weekend! Thanks for visiting my cooking blog. I linked up my Chocolate Chip Cookie Dough Bites. Now to look around at all the other sweet treats. Thanks again for visiting my blog! Posted both Tiramisu Cake and Raspberry Filled Lemon Poppy Seed Muffins. I linked up my Blackberry Ice Cream. On to check out the other sweets! Fun fun! Thanks for stopping by my blog and I linked up and am checking out the other posters too! Hi, I am linked up, #87 and flying your button proudly over at my place!! Thanks for stopping by my blog!!! I linked up to your Sweets for Saturday link party!!! thanks for hosting! I linked up Lime Bars and Iced Coffee this week. Have a great weekend! Hi Lisa :) Thank you for your sweetest comment! I've linked up my Strawberry Vanilla Strudel. I linked up my Mixed Berry Jam. Thanks for hosting! 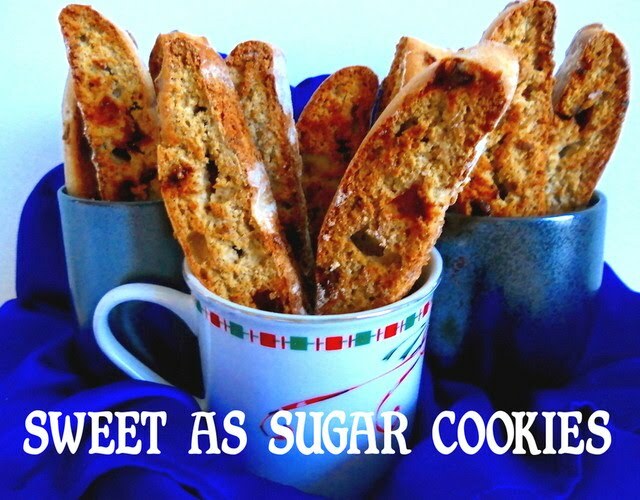 Thank you for stopping by my blog and inviting me to add my recipe. I posted the Banana Chocolate Chip Bread as well as the Gluten Free Nutella Crepes. Have a great day! thanks for inviting me! we're all linked up! Hi Lisa! Thanks for inviting me to link up. Everything looks delicious and I'm super excited to look through your site! Great picks, I would love them all! I am sharing my Summer Harvest Bread today and hope you enjoy it. Thanks for hosting and have a wonderful day! Thanks for the invite! :) I added my Blueberry Kuchen recipe; enjoy everyone! Linked up my Sweet Cherry Cobbler. I always look forward to seeing everyone's treats on Sweets for a Saturday! Thanks again for hosting! Thanks for the invite! This is such a lovely idea!! Thanks for inviting me to link up! All this links look so yummy!! I can't believe another week has passed already! I went completely vegetarian this week and so I linked up a raw "choco-chia" pudding that I just devoured. Hi Lisa! I linked up. This is such a fun idea. Thanks for stopping by my blog! Thanks for inviting me, Lisa! What a fun idea! Have a lovely weekend! I've linked up!! Thanks for the opportunity to share my treats!! Love your blog! Hi Lisa. Thank you so much for viewing my blog. Would you like to be a follower please. I am new to blogging and love it! I will be a follower to yours. I love your blog! I added Oatmeal Butterscotch Cookies that were amazing! So chewy and so yummy. You must try them! I linked up my Red, White, and Blue Cake! Thanks for visiting my blog! Thanks for hosting! I linked up my Key Lime Mousse Shooters. You always have the best recipes linked up to this party~they are great! Thanks again. Thanks for the comment. I linked a couple of posts up. I linked up my S'mores Bark! Thanks for stopping by! Hi Lisa, thanks for the invite. I got a sugar high just looking around here. Everything looks amazing. All linked up. Thanks Lisa. Wow! Lot's of yummy looking recipes here...can hardly wait to try several of the out! I linked up my recipe for Cinnamon Blueberry Coffee Cake. Thanks for checking out my blog! Hi Lisa! I'm thrilled to join your linky party :-) Thanks for visiting and allowing me to share! Hi Lisa! Just linked up my cake...thanks for letting me know about this awesome thing! This is fun! I just linked up my Nanaimo Bars! Hi Lisa! I linked up my Chocolate Chip Cookies. Thanks for including me :)! Hi LIsa, what an inspiring idea! Hey Lisa! Thanks for inviting me to the link party! I added my Red, White and Blueberry Rolls and Grandma M's Chocolate Chip Cookies! So many delicious looking recipes! Hi Lisa, I linked up my Whole Grain Chocolate Chip Cookies - thanks for the invite! Thank you for visiting my cozy little kitchen, please come back anytime! I'm so glad you invited me here to your party!! thanks for the invite! I linked the Nutter Butter Banana Pudding!! Linking up again this week! Thank you for hosting! Holy smokes! You have so many link ups! And I love the features... I'll take some of those doughnuts and rice krispy treats! All linked up now :-)Hope everyone enjoys the cheesecake brownies as much as I did! What a great idea. This is my new go-to source for sweets! Yum. Yum. And Yum! Thanks for inviting me to link up. Have a great weekend Lisa. Great idea Lisa, thanks for letting me know about it. I posted the Nectarine Blueberry-Almond Cobbler. I'm linked up with my fresh strawberry cupcakes! 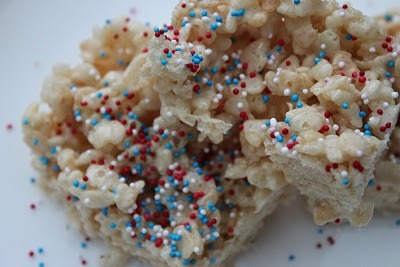 I have missed many of the 4th July sweets! I was away! I'll have to catch up. I owe it all to you. Gee thanks. I wish, I had a photo of me, sticking out my tongue. Thanks anyway. I have linked up my Sticky (icky wicky) lemon cake, thanks for the invite to join in Lisa. Wow! So much inspiration here. Hi Lisa, your blog is spectacular! Thank you for the invitation. I posted my Cranberry Oat Cookies. Thanks for the invite, I enjoyed all the other treats! I couldn't help myself....I just posted another treat! Hi Lisa! I added my fig tart. Linked up! Thanks for the invite! Thanks for the invite! I linked up two of my desserts! Have a great rest of the weekend! Thank you for including Love & Maple Syrup in your "Sweets for a Saturday" party! I've linked a few of my favorites! Thanks for inviting me to link up here! That's quite a lot of fantastic looking recipes! I've linked mine too! Thanks for the invite! I linked up my chocolate cupcakes with PB frosting! Love all five of your choices and your link party just keeps getting bigger and bigger. Great job. Thanks for the invite- I love this blog post! I'm not sure if I already posted, I can't remember... but thanks for the invite! I linked up and added a link back here to my post. Fun stuff! Oops, forgot to post- I've linked up and added a link back to you... thanks again! Hey! I love this linking party idea, its so great. Thanks for the invite, kudos girl! Thanks for the invitation...I'm all linked up and a new follower. Can't wait to visit some of the links! Hi Lisa! I have linked up my key lime pound cake. Thank you so much for the invite! All of the treats look divine! Hey Lisa! Thanks for visiting my blog and I am linking back now. So cool! Thank you! Thanks for stopping by with the invite! Everything looks gorgeous! I also just linked up my Red Velvet Strawberry Shortcake Layer Cake with Cream Cheese Frosting :) Thanks again!! Hi! Happy Dessert Weekend! I just linked up my Nutella Banana Bread and my Leche Flan. Thanks again! Love the Red Velvet Strawberry Shortcake idea! The Chocolate Coffee Cake looks amazing too! Thanks for asking me to participate - I've left the link to my Oatmeal Cranberry Chocolate Chip cookies. Enjoy! Hey! Thanks for leaving such a sweet message on my blog thefigtree.blogspot.com. :) Your link party is so much fun! Love the idea. Thank you for asking me to participate! I added my recipe for lemon mousse tart with fresh berries. Hope you had a lovely weekend! I linked up my Strawberry Shortcakes! Thanks for visiting my blog! What a fun idea! Thanks for including me. I've linked up "Apricot and Banana Muffins" and "Blueberry Tart". Can't wait to check out all the yummy treats! Linked my Strawberry Peach Sangria Pops. Thanks for stopping by my blog and including me! Hi Lisa - Couldn't help it - just added another recipe (Brown Butter Choc Chip Cookies). I also added your badge to my site. Thanks again! Linked up the caramel sauce. Hope it worked! thanks for stopping by my blog and inviting me to link up for your party!!! I love all the amazing recipes and glad to have found you! thanks for linking me up!!! :) i really appreciate it! Thanks for inviting me to join this sweet party! I just linked up my homemade apricot jam! Thanks for inviting me to the party. I linked up my cinnamon sticks. You have a wonderful blog here. Enjoy your day!! Thanks for inviting me to this link event -- I'm all linked up! I've linked up my Strawberry Lemon Sorbet. This is a great idea, thanks for inviting me! What a cool idea!!! Thanks for the invite. I love connecting with new bloggers/cooks!!! Thanks again for finding my and initiating! oh and i linked up. should have mentioned that!! sorry! Thanks for stopping by Mama.Mommy.Mom. and suggesting I link up! Hi Lisa, thanks for visiting my blog and inviting me to link up my strawberry cupcakes. I added them but the picture is not showing up. I hope I did it right! Thank you for the invitation! I linked up the lime sorbet! Wow, look at all the dessert! Thanks for inviting me. It's like a parade! A re-visit to my Blueberry Blondies recipe is linked up here - thanks for the invite! Hi Lisa, thanks for stopping by my blog! I linked up! Thank you for inviting me to the party Lisa! I love your blog and all these fabulous recipes! Thank you for the invitation! All these recipes look delicious, I linked up! Wow Lisa - you're not kidding when you talk about a link party -how fun! :) Link successful along with roaring new sweets appetite:) Thanks so much! Thanks for the invite! I linked up and I definitely want to try some of those amazing looking recipes!! Thanks for the invite to link up. We linked up with your party and are sooooooo excited we found you. What a great blog you have. My sister and I from therapeuticcrafting.blogspot.com can't wait to try some of your yummy looking recipes. And you have such a nice blog, I love the recipes I've seen so far! Thank you for inviting me to post a recipe here, this was really fun and a great idea! Thanks for visiting my blog and inviting me to link my lemon lavender blueberry pie! What a wonderful collection of sweet treats! Thanks for inviting me to link to your party!! Some delicious looking recipes on here! Thanks for the invite...I just linked up! Thank you for the sweet comment on my Tie-Dye Cake Cookies! I'll be back next week to link up! Darn I just got your comment. I would have loved to link up. Maybe next time. Thanks for making a comment about my Red, White, and Blue Trifle. I love comments. YOu made my day. I was on vacation when you left me the comment on my blog; and missed this sweet potluck. Bwaaahhhaa :( Thanks so much for commenting on my Healthy Banana and Blueberry Muffin. Maybe I can link up next week, or is it this week? Oh, my gosh! So much deliciousness! I'm in overload!! 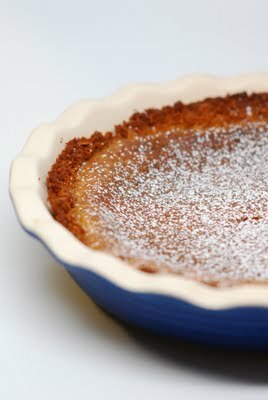 For the crust, in a bowl combine cookie crumbs, flour and melted butter. Press into the bottom of a 13x9 inch baking pan and freeze (I recommend greasing the sides of the baking pan). For the filling, in a large mixing bowl beat the cream cheese and sugar on med-high speed for 3 minutes. Add the eggs one at a time, beating each egg thoroughly into the mixture before adding the next. Blend in the 1 cup of creamy peanut butter and 8 oz melted chocolate. Then mix in the 3 tbsp lemon juice and 1 tsp vanilla. Fold in the 2 cups chocolate chunks. Pour the mixture over the frozen crust and bake for 35-45 minutes (or until the top is a light golden brown and middle has a slight jiggle). Pull the cheesecake out of the oven (keep the oven on) and let cool for 10 minutes. While the cheesecake is cooling, make the topping: combine the 1 cup sour cream, 1/2 cup sugar, 1/3 cup peanut butter, 1 tbsp lemon juice, 1 tsp vanilla. Pour the topping onto the center of the cheesecake and spread to the edges. Sprinkle some chocolate chunks on top. Bake for another 5 minutes. Pull cheesecake out of oven and cool for 2 hours, then refrigerate for 6 hours. Darn, I missed posting my cookies because I was away... nevertheless, all these sweets look absolutely delicious! I got to get baking lol! The delicacies look really good and yummy, they seem to have been very nicely baked. This is a very nice post, a page that is very helpful and informative. With a very nice and colorful Decorative Rose Artificial Flower, your house shall surely have a different look that shall help you better define your personality. تعتبر عمليات نقل الأثاث من أصعب المهام التي يقوم بها الفرد بنفسه أو حتى لو بمساعدة صديق له، فهذا النوع من الأعمال يحتاج إلى المزيد من الأشخاص المتخصصين والعاملين بهذا المجال ونعتمد على أكفأ معلم نجار بالدمام لفك الأثاث، مثل شركة نقل أثاث بالدمام فهي من أولى الشركات التي بدأت في العمل بمجال نقل الأثاث منذ فترة وجيزة وقد حصلت على خبرة كبيرة جداً في هذا العمل من خلال الممارسة المستمرة في العمل، وكلما كان يتقدم العصر كانت تتقدم الشركة معه من خلال استعمال أحدث المعدات والأجهزة التي تستخدم في عملية فك وتغليف وتنزيل ورفع العفش.